2) to incorporate nutritious foods into our diets in a delicious way. 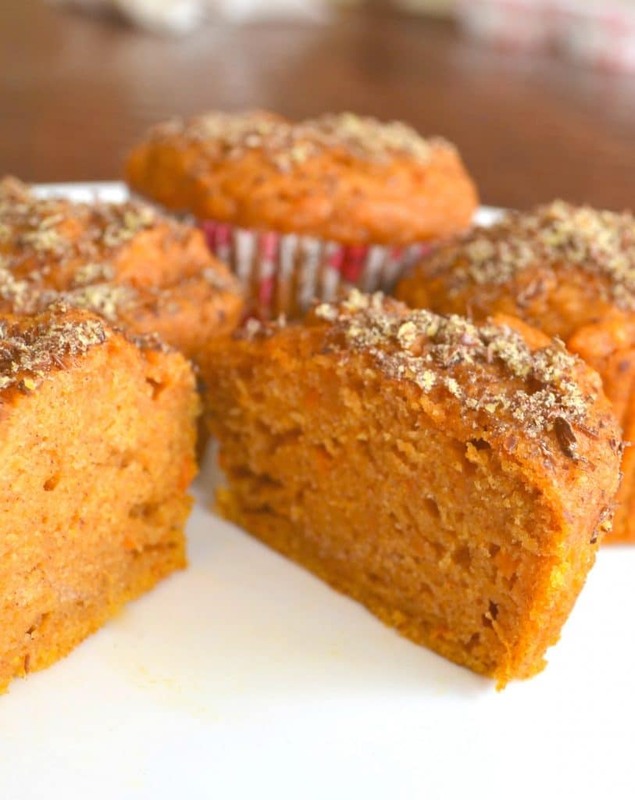 This sweet potato muffin recipe accomplishes both. The answer is “no.” They are similar, but not the same. It can get confusing because yams are often incorrectly labeled in stores, in recipes, and even on cans. So let me help you differentiate the two. While you may see sweet potatoes incorrectly labeled as yams (especially in the south), true yams are actually pretty rare in the United States. 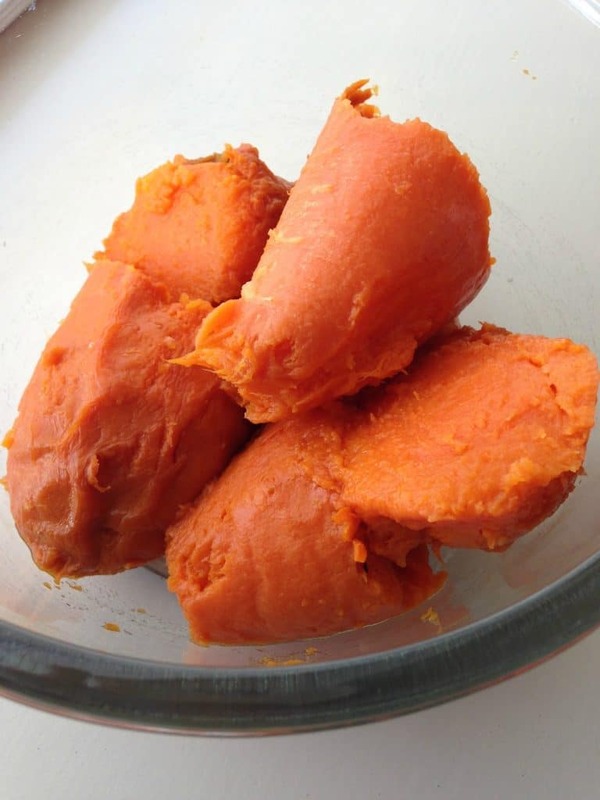 Yams are characterized by a lighter flesh and a darker skin with a rough texture. Since yams are also starchier than sweet potatoes, you’ll want to be sure to use sweet potatoes for this recipe. There are many varieties of sweet potatoes in available in the U.S., and they come in all different colors. 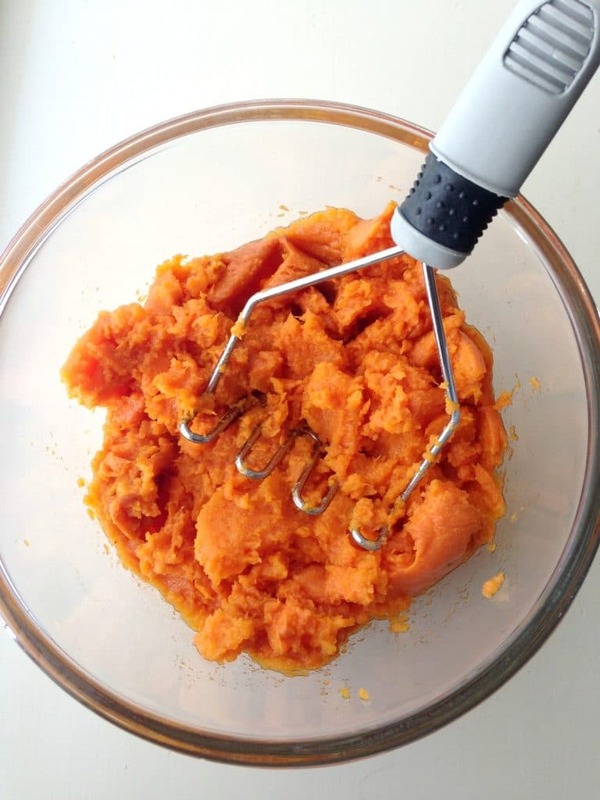 For this recipe, I look for a sweet potato with tapered ends and a bright orange flesh. Cooking tip #1: I recommend cooking the sweet potatoes a day ahead or a few hours ahead of when you want to make the sweet potato muffins. This will allow them time to cool and also make them easier to peel. Cooking tip #2: I used 3 very large sweet potatoes and they equaled about 3 cups of mashed potato. So if you are buying small-medium potatoes, I’d recommend using approximately 5-6. You can always use the leftover potato to make smoothies, pancakes, or anything else you like! Cooking tip #3: If you think flaxseed is something only crazy health-nut types enjoy, I challenge you to sprinkle some on top of these muffins before baking. It’s delicious, and adds a nutritional boost. To prep the sweet potatoes (this can be done a day or so ahead if you want to break up the muffin-making process): Pierce the potatoes with a fork and place on a foil-lined baking sheet. Bake at 400 degrees for approximately 45 minutes, or until the inside is soft when poked with a fork. Remove and let cool. When the potatoes are cool, peel off the skin and mash the sweet potato filling with a fork or masher until any big lumps are gone. Measure out 3 cups worth of filling. To make the muffins: In a large bowl combine the flour, cinnamon, baking soda, baking powder and salt. In a separate bowl, combine the sugar, oil, eggs, and vanilla. Stir the wet ingredients into the dry ingredients, and then add the sweet potato. Pour into muffin tins/cups. 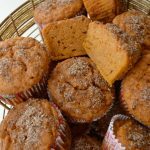 If using flaxseed, sprinkle on top of the muffins. Bake at 325 for approximately 30 minutes. I used three very large sweet potatoes and it came out to be just about three cups exactly. If you're using smaller potatoes you might want to use 4-5. If you end up being short, you could always use some mashed banana to get to three cups. Visit my RECIPE INDEX for more simple recipes, or check out my HOME PAGE to see what’s new! Thank you for this amazing recipe! My one year old son LOVES sweet potatoes and I was excited to try this recipe. 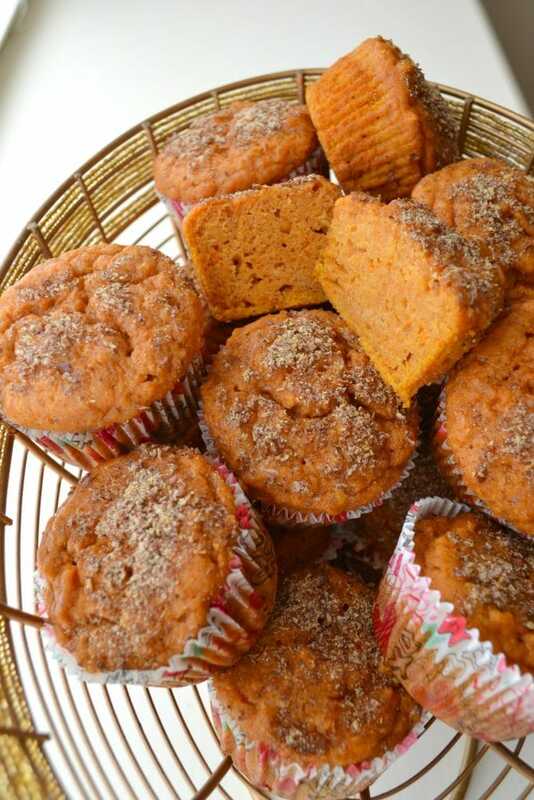 I the sweet potato muffins this weekend and my son and husband really like them. I was thinking about adding pecans on top. Thanks again! These are super tasty! I used 1/2 the amount of sugar and replaced oil w applesauce and did half the flour WW and the rest AP. They are awesome!!! Thanks for the recipe! Super delicious! I love them!